For me, I don’t like to buy something predictable. Each of my close friends is different, so I like to find something unique and put a little thought into it. And if it can be shopped locally to avoid the large department store craze, then I’m all about it. 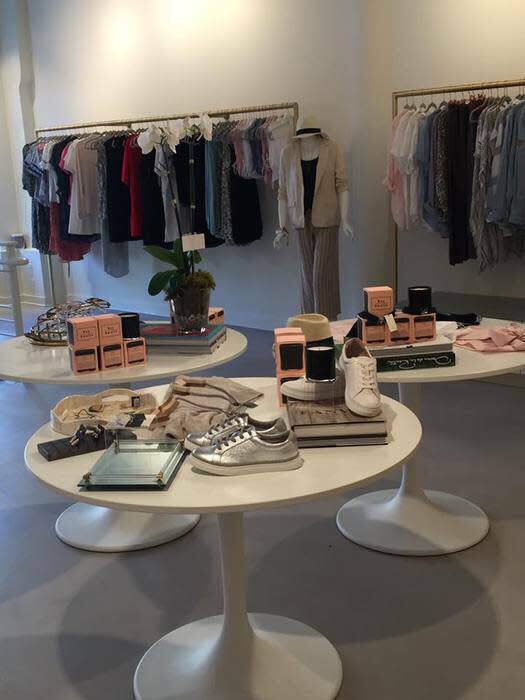 Pensacola is thriving with all of the new businesses popping up shop around town, especially boutiques. I’ve rounded up five of my favorite new boutiques in Pensacola, specializing in all things style. I mean “beautiful” is in the name! Ciao Bella has a little bit of everything for everyone. I love going and stopping into the store when getting my hair done…that’s right, there’s a salon in the back. Stopping by the retail space makes for dangerous shopping after I feel fabulous with a new do. I also love the constant new merchandise. You’re sure to never walk in and find the same items. Ciao Bella is my store for the trendier items that are affordable. We all know how quickly trends change, so it’s nice to not have to spend a fortune and still feel fashion forward. I was hooked just by the name alone. I am a huge lover of versatile neutrals. GRAY is all about quality, comfort, style and timelessness – think your boyfriend&apos;s oversized white button down with loose trousers. Or the perfect summer linen dress, soft chambray shorts on tanned legs. I like to call it chic comfort. It’s a breath of fresh air and a shop that’s going to keep you coming back all year long. Can you say shabby chic perfection? 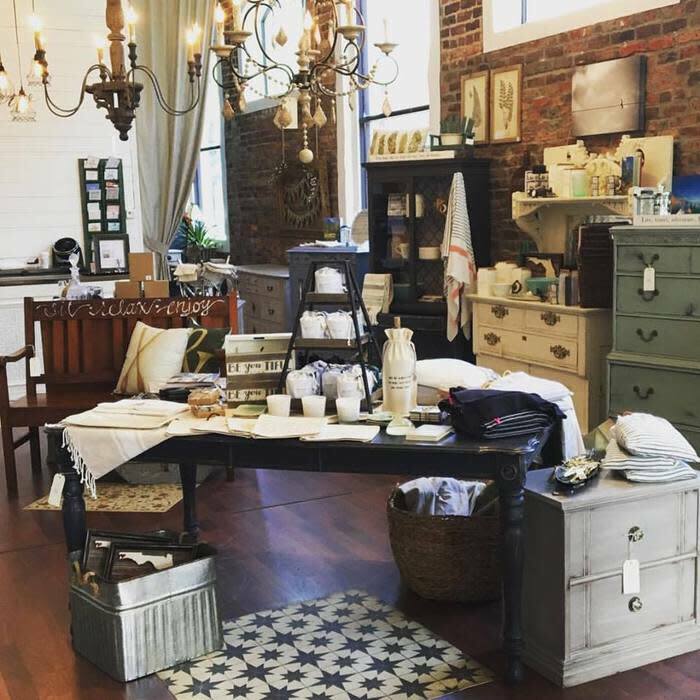 Specializing in coastal farmhouse décor, Rusted Arrow goes a step further by creating one-of-a-kind pieces, taking vintage furniture and adding a pop of unique style. It amazes me how they completely makeover furniture, making for perfect additions to a dining room or even a nursery. They make my Pinterest goals come to life! I also really love their knick-knacks and seasonal décor. By far the most unique of all of these boutiques is La Bona International. I live for La Bona’s stoned rings and necklaces. They make for the most beautiful statement pieces. 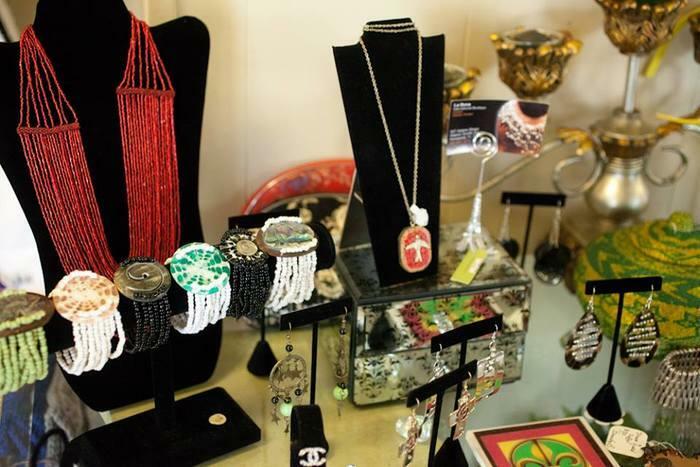 This warm eclectic shop is filled with clothing, shoes, purses, scarves, jewelry, perfumes, soaps and so much more. When you walk in, drawings, paintings and plaques adorn the walls and ceramic finds rest on shelves. It’s the ideal one stop shop for any gift. It’s a balance between the perfect southern belle and the hell raising gypsy! 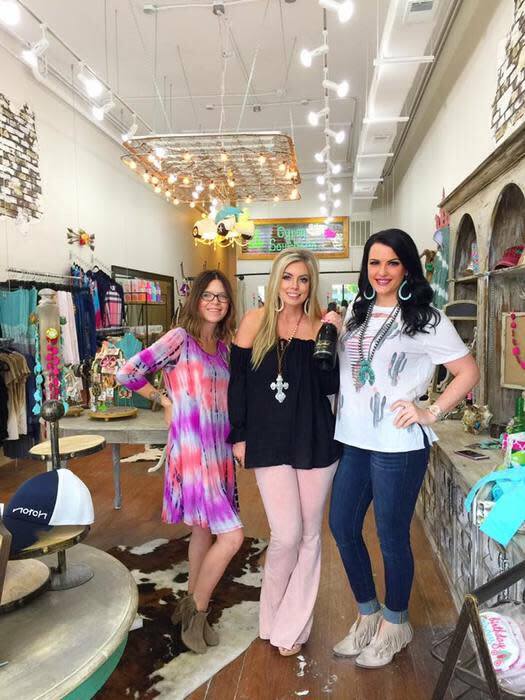 It can be so difficult to find a boutique that stocks style for multiple body types, but Gypsy Southern does it. And keeps it budget-friendly. Whether I’m looking for a T-shirt and jeans for a concert or a floral swing dress for a night out with the girls, I’m always able to find something I can’t live without. Just ask my husband. HA! Whether you’re a Type A like me who starts planning holiday shopping now or someone who waits a little more last minute, Pensacola has plenty to offer that’ll have you shop until you drop and not have to drop a ton from your wallet.